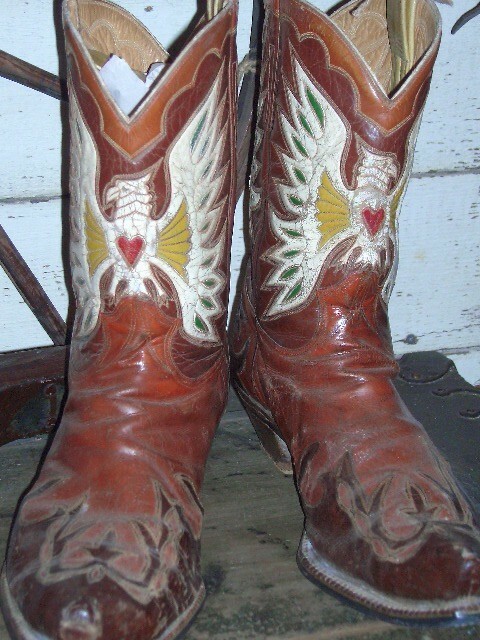 1930's Handmade Custom Eagle Cowboy Boots Size 11d. 1930's Handmade Custom Eagle Cowboy Boots Size 11d. square note. High end Collectible Please email cowboyron@cowboycabin.com with questions or call 406 270-2842.